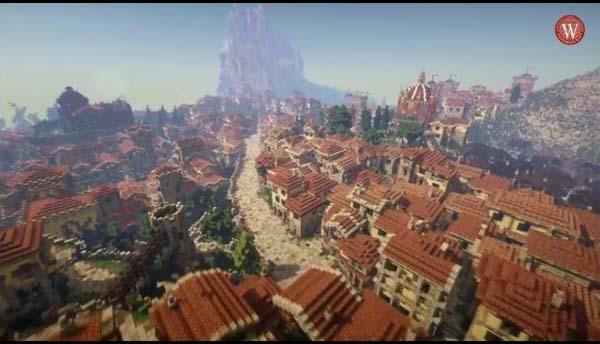 Westeros, the most importantly continent in Game of Thrones is being rebuilt in Minecraft. Maybe in the near future, you can direct your own A Song of Ice and Fire in the pixelated world. WesterosCraft is an ambitious Minecraft project that intends to create a complete Westeros. The project has been going on for two years and gotten about 125 talented Minecrafters to build every objects in the continent. Now the pixelated world has been about 70% complete, so you can find out lots iconic buildings and landscapes from Westeros such as Dragonstone, the Wall, Gulltown, Lannisport, Pebbleton, and more. After the break, check out the latest video about WesterosCraft, or you may like to join the team via their launcher.